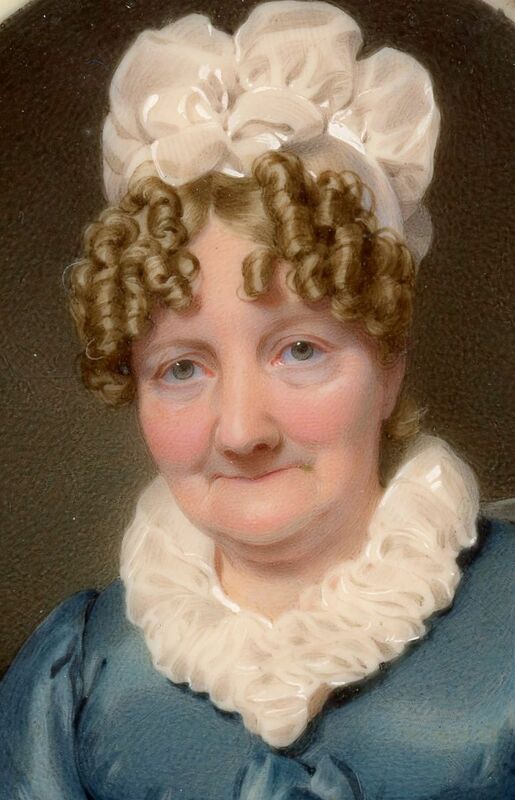 A confident portrait that succeeds in conveying the character of its subject, a matriarchal figure named Mrs Vint. 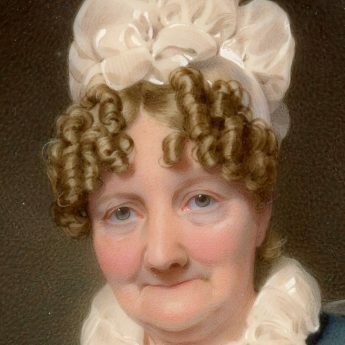 Seated, she is wearing a teal blue satin empire-line dress tied on the high waistline with a ribbon bow and worn with a white ruff fill-in. Her hair has been painstakingly curled all over and is topped with a mob cap. 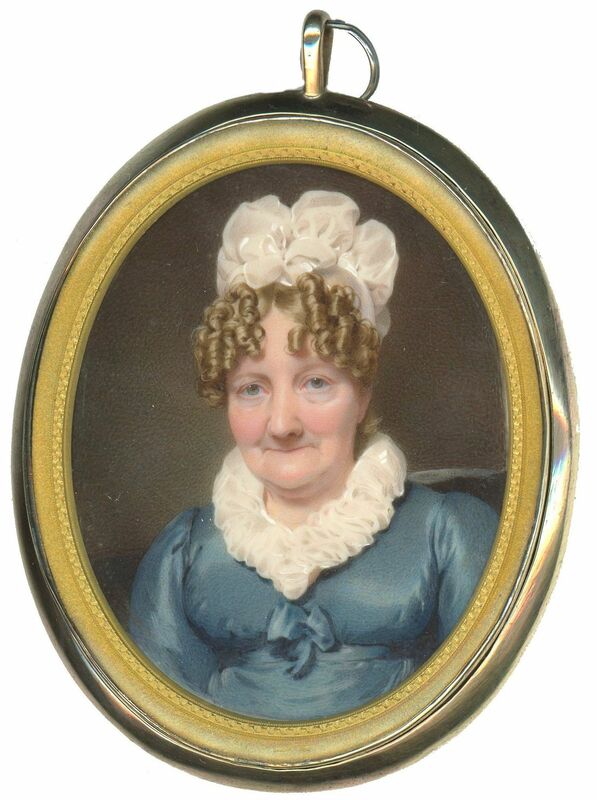 The portrait is signed on the reverse – “Painted by / Hugh Ross / London / Mrs Vint” and dated 1832. It is housed in a gilt-metal frame with a decorative surround. Fine condition. 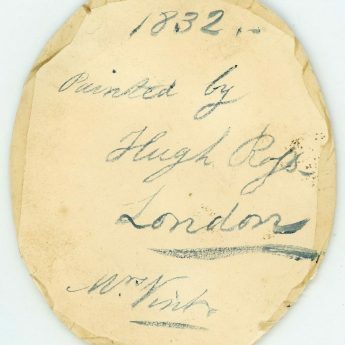 One of three siblings who were all miniaturists, Hugh Ross (1800-1873) exhibited at the Royal Academy between 1814 and 1845. 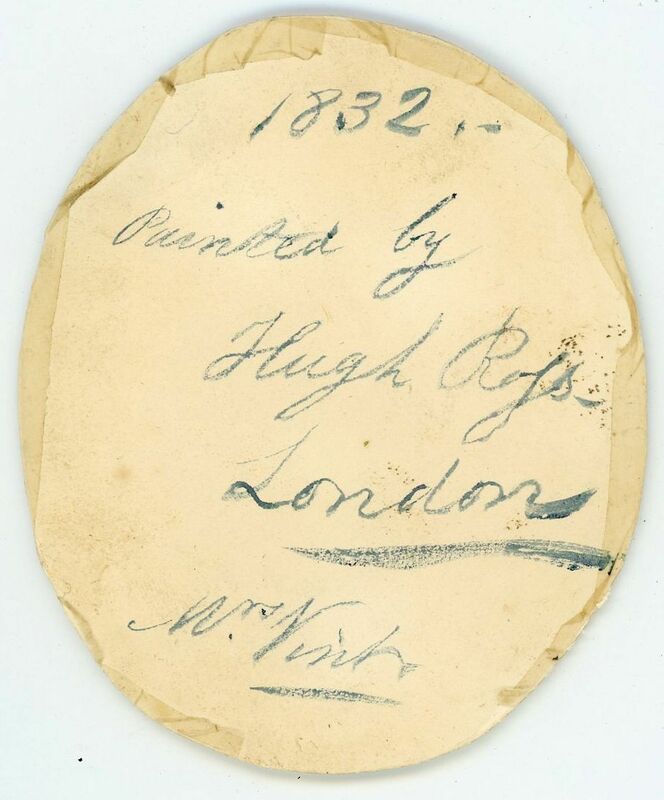 The National Portrait Gallery have in their collection a miniature portrait painted by him of his older brother, Sir William Charles Ross.